One of my favorite weekends! It's here! It's here! It's here! Folk Festival weekend is finally here! The Ann Arbor Folk Festival is one of my favorite times of the year. For those who aren't familiar, The A2 Folk Fest is basically a giant fundraiser for The Ark which is this awesome super small and cozy music venue that showcases folk and roots music. The Ark is one of my absolute favorite places to see live music. Not a bad seat in the house, the hallways are lined with photos of artists (both legendary and up and coming) who've played there, and the dressing room walls are covered in their signatures. If you're ever in the Ann Arbor area, you definitely have to catch a concert there. This is th e 33rd year that they've put on the festival. It's a two night festival, with the first night focusing on the "new direction" of folk and roots music, and the second night brings in musicians playing more traditional folk and roots. Since I've been back in the area, I've had the awesome opportunity to volunteer for The Ark, which means I get to work the festival and see the concerts for free. Best. Gig. EVER. 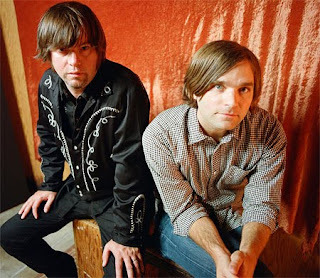 This year they've got Jay Farrar with Ben Gibbard, and Iron & Wine headlining the first night. 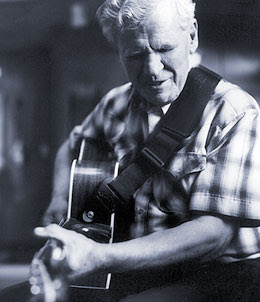 Rosanne Cash, Richie Havens, and Doc Watson are headlining the second night. Those are some damn good headliners if I do say myself. But one of the great things about the Folk Festival is they showcase lesser known acts throughout the nights as well. That's how I discovered my absolute favorite artist of the past year, Joe Pug (I've since seen him three more times live and can't wait until his first full length album comes out next month). I'm hoping I can make a similar discovery or two this year. Check out the full line-up here. He is going to be awesome to see live. True story. LOVE seeing him live. I could listen to him play and tell his stories for forever. CANNOT WAIT to see him. Of the non-headliners, I'm most excited to see this band. I've gotten a few recommendations to check them out, but keep forgetting so yay for Folk Fest for giving me that chance. haha. Whew. It's going to be a busy but crazy awesome couple of days. I'll be honest. 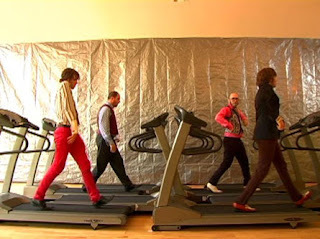 Aside from the epic treadmill video a few years ago, I don't really follow the band OK Go. I had no idea they released a new album recently. And I had no idea they released a new video. And surprise surprise, it's actually really really catchy. Their label won't allow embedding from YouTube (lame) but I was able to track it down on Vimeo. Head on over to their site to get the marching band version of the song for free (and to check out their new album, upcoming shows, etc.). 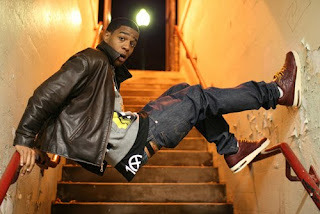 Kid Cudi took a break from touring with Lady GaGa recently and made a stop in Ann Arbor. I was beside myself when I saw he was coming to town. He didn't disappoint at all. Though the barrage of opening acts almost made me go crazy...minus local rap legend One Be Lo...Kid Cudi was fantastic. The strobe light extravaganza blew my mind. The segue into Day N Night was amazing. I thought he was gonna do the remix version, but he broke it down into the slow burner that I love. The acapella "Daps and Pounds" was fantastic, and "Pursuit of Happiness" was pretty much perfect. DEFINITELY see this kid if he's performing in your area. He puts on one hell of a show. I also want to plug for local rapper One Be Lo. Not too many people paid any attention to his opening act, which is too too bad. It should have just been him and Kid Cudi. Def check him out. He was half of Binary Star, and has released three albums on his own label, Subterraneous Records. Def check out his album, S.O.N.O.G.R.A.M. It's time that he hit the national stage. He's way past due to be a breakthough star. Let me just start out by saying that I love me some folk music. Give me a song with an acoustic guitar and some make you think type lyrics and I'm pretty much in heaven. So imagine my delight when I came across The Tallest Man on Earth (aka Kristian Matsson). He's got Dylan written all over him, which is probably subconsciously why I love him so much. After getting his album, Shallow Grave, and loving it, I came across his Daytrotter session and fell in love some more. His stripped down piano version of "I Won't Be Found" is absolutely gorgeous. 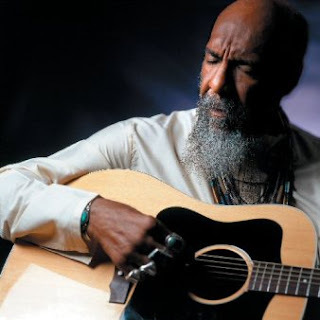 He's got a great series of videos on youtube of him playing songs to a sunset (sigh...). Now he just needs to do another tour in the US so I can see him live. 2009.09.09 Tallest Man on Earth, Bardens Boudoir (Honey, Let Me in) from Tim Ferguson on Vimeo. I love music. You're probably here because you do too. The songs I post are for preview purposes only. If you like what you hear, go buy the song/album from the artist and go see them live. Support the people who make us happy. If you want a link removed, send me an email: candy4ears@gmail.com, and it will be taken down asap.